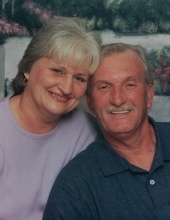 Survivors: Lifetime Partner: Carolyn Howard; Daughters: Jackie (Darrell) Owens and Kella (Jason)Slone; Brother: Claude Combs; Sisters: Vivian Reck, Doris (Arnest) Huff, Jean (Charles) Thacker, Glenna Combs, Reatha (Randy) Caudill and Marlene Combs; Kellby (Rebecca), Kolby "Skeeter" and Kason; Great-Grandchild: Avalyn Rose. Deceased Relatives: Parents: Elige Combs and Tina Gibson Combs; Brothers: Ermal Combs, Jack Combs and Billy Ray Combs. Time and Place of Services: Tuesday February 12, 2019 at 1PM at the Nelson Frazier Funeral Home Chapel in Hindman, Kentucky. Visitation: Sunday February 10, 2019 after 5PM and all day Monday February 11, 2019 at the Nelson Frazier Funeral Home Chapel in Hindman, Kentucky with services each evening at 7PM. Burial: Combs Family Cemetery in Leburn, Kentucky. "Email Address" would like to share the life celebration of Larry Combs. Click on the "link" to go to share a favorite memory or leave a condolence message for the family.